Give advice to the City Council regarding the funding of activities and programs; review actual vs. planned revenue and expenditure levels to help ensure efficiency. This Commission serves to advise the City Council. Stein reelected Chairperson, Schute elected Vice-Chairperson, Fournier elected Finance Commission Representative to the City’s Investment Advisory Committee. The Finance Commission had an annual procedural vote to elect commissioner Cheema on this corporation. The corporation is a place holder and hasn’t had any activity in 10 years. Its purpose is to render assistance to create public facilities. Currently no plans for use of this corporation. 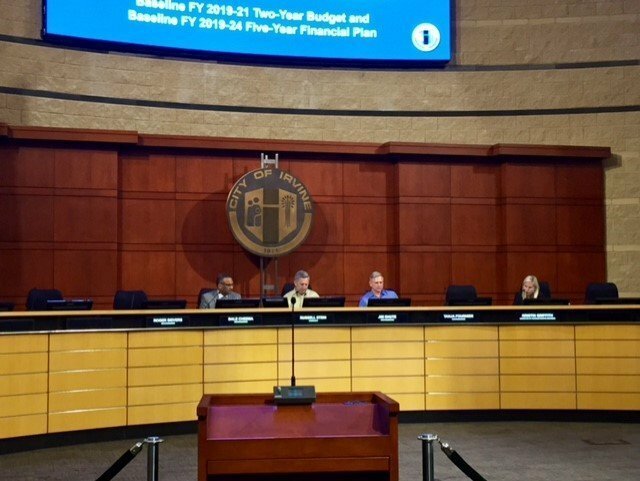 City staff kicked off the budget development cycle and planning process with a thorough presentation and report that identified baseline projections and assumptions for the City’s 2 and 5-year budget cycle. Please click here to read the full report. The Commission was asked to provide input on the assumptions and resulting baseline projections before it goes to City Council for their input. Residents will also have a chance to provide feedback at one of the Community Budget Neighborhood Meetings that will begin in March. The Building and Safety Fund collects permit fees associated with development in the City and pays for the associated salaries and services for permitting, plan check, and inspection personnel. Permit fees have not been increased since 2007. The budget department proposes a 20 percent increase for all Building and Safety Development fees. The Development Services Fund collects fees for development application processing in the City and pays for the associated salaries and services for planning staff. As with the Building and Safety fund, Development fees have not increased since 2007. The budget department proposes a 10 percent increase for all development application fees.